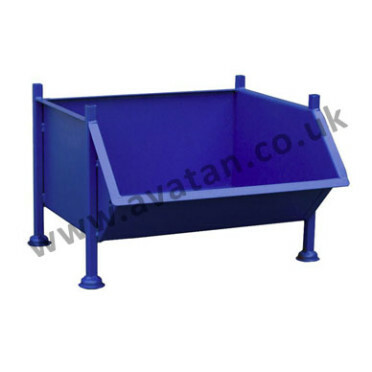 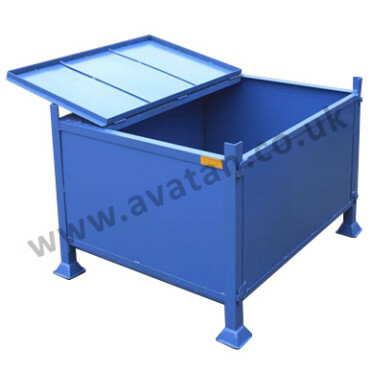 Heavy duty stackable steel stillage, approximately 3 cubic metre capacity, for storage and handling of electrical waste materials designed for recycling centres. 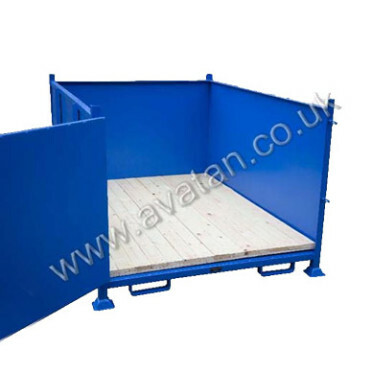 Fitted with side hung hinging front gate on one long side secured with heavy duty antiluce fasteners. 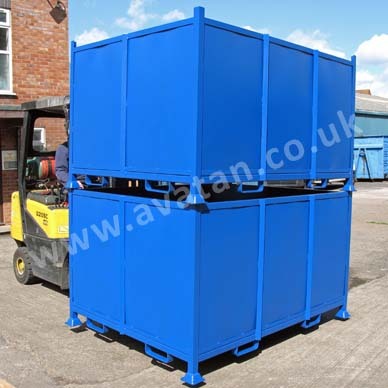 Fitted with fork guides on all four sides, for safe and secure forklift handling. 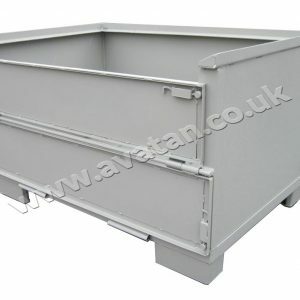 Optionally fitted with sacrificial timber deck for further protection of sheet steel base. 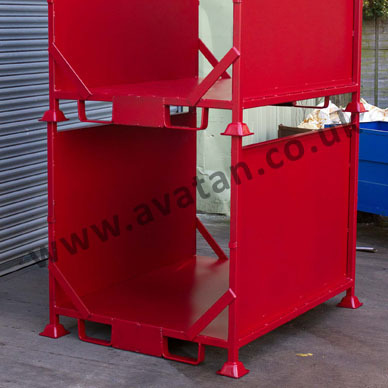 This style of metal pallet is manufactured to order and may be supplied in a size to suit your own needs.